Game of Thrones season 8, the final one, is set to release in India early morning on April 15th. With the final season upon us, dating app OkCupid has launched a new global Game of Thrones badge that acts as a conversation starter for fans of the fantasy series on the dating platform. Users can message Game of Thrones fans on the app. The badge will help you match basis your preferences, and your biases over your favourite GOT kingdoms, by helping you connect with people who share your interests and tastes. Whether you’re House Stark or House Lannister, you can now easily match with other such fans by spotting the new badge on their profile. OkCupid will ask you whether you want to activate the GoT badge on your profile in the app. The badge will be prominently displayed on the profile of every OkCupid member who has publicly responded “yes” to the question - “Do you watch Game of Thrones?”. 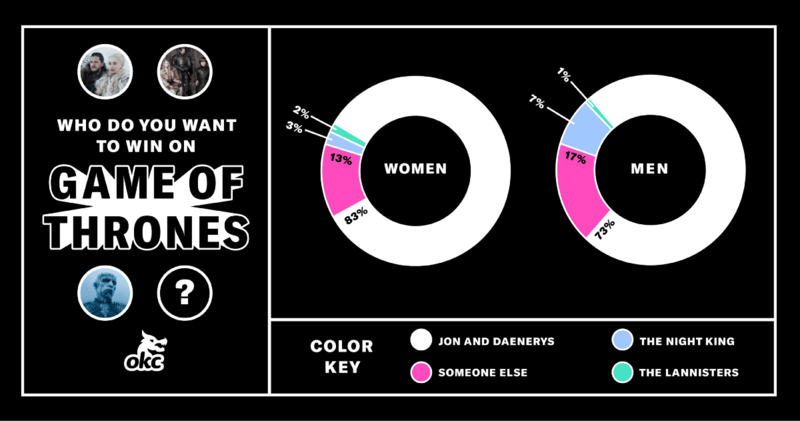 OkCupid predicts 20% more likes and 15% more conversations for those with the new GoT badge. The badge will be available until June, when the series finale premieres.